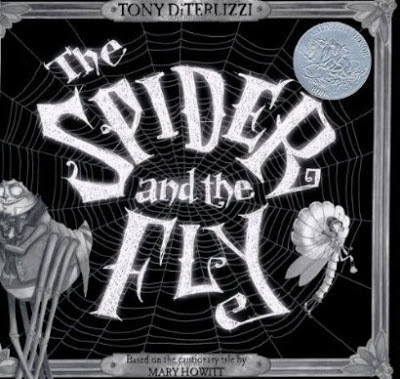 The Spider and the Fly is just out in time for Halloween. It features Tony Terlizzi's fantastic black and white illustrations, conjuring up the silent movie era and nodding in an homage to early horror films. 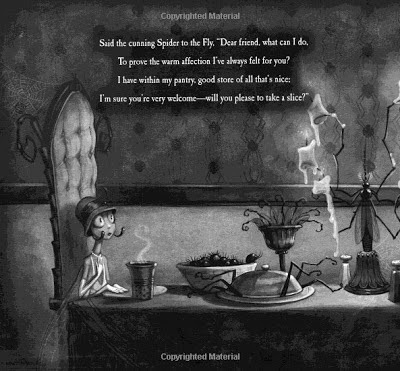 The illustrations show grand furnishings with Burtonesque swirls, a beautifully haunted manor, and a spider that reminds me a bit of Tim Curry. The book is for ages 6 and up; but I think this adult eldergoth needs a copy for herself too!